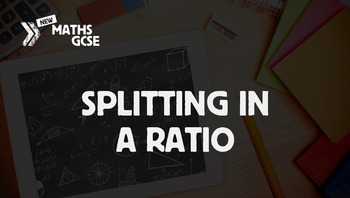 This is a complete lesson on splitting a number in a ratio that looks at how to divide a quantity into two or more parts in a specified ratio. The lesson is designed with the new GCSE specification in mind. Lesson Objective - To divide quantities in a given ratio.